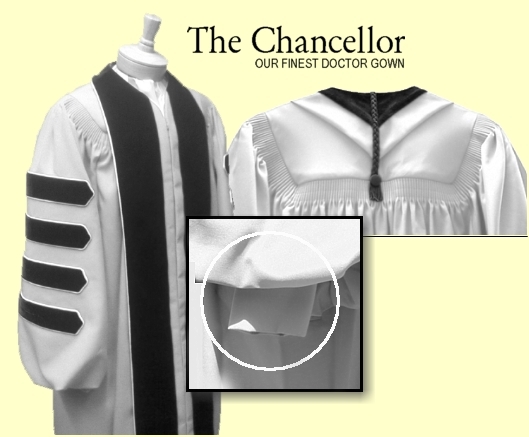 The Chancellor is our finest doctoral gown. Traditional style pleats, double-bell sleeves with cuffs, a deluxe button and braided cord on the back with zipper front closure give this hand-crafted and custom-tailored outfit a distinctive appearance. Rich velvet doctoral bars on each sleeve with velvet panels separated down the front of the gown add to the superior look of this gown. 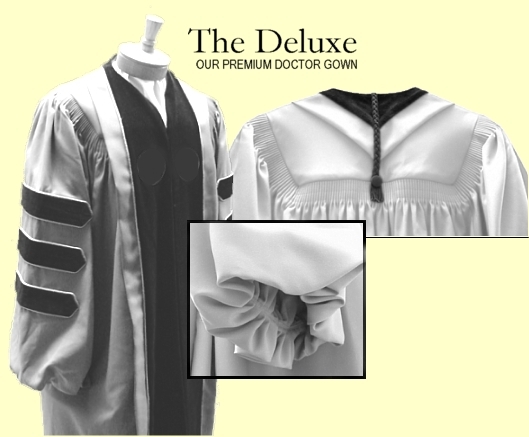 The Deluxe is our premium doctoral gown. Traditional style pleats, fully-lined double-bell sleeves, a deluxe button and braided cord on the back with zipper front closure give this hand-crafted and custom-tailored outfit a distinctive appearance. Rich velvet doctoral bars on each sleeve with velvet panels down the front of the gown add to the superior look of this gown. 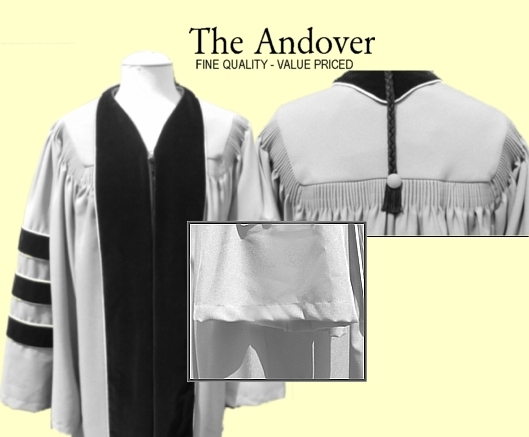 The Andover is our fine quality doctoral gown at a value price. Open sleeves, a deluxe button and braided cord on the back with zipper front closure give this hand-crafted and custom-tailored outfit a distinctive appearance. Rich velvet doctoral bars on each sleeve with velvet panels down the front of the gown add to the superior look of this gown. 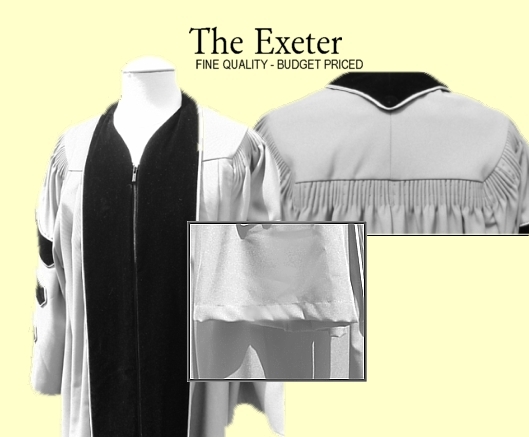 The Exeter is our economical quality doctoral gown at a budget price. Open sleeves, relaxed fluting over the shoulders and around the back of the yoke with zipper front closure give this hand-crafted and custom-tailored outfit a distinctive appearance. Velvet doctoral bars on each sleeve with velvet panels down the front of the gown add to the superior look of this gown. Authorized site of University Cap & Gown Co., Inc.